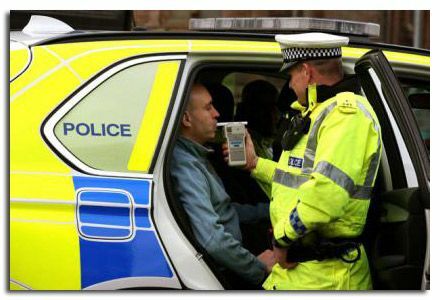 Scottish drink driving clampdown: a single drink will put drivers over the limit. New drinking driving limits will hit motorists from midnight tonight in a bid to slash the death toll on Scotland’s roads. Scots who drink in the evening are effectively banned from getting behind the wheel for much of the following day, under the strict new laws. As the drink-drive limit is cut, police chiefs warned drivers that one drink is enough to increase the risk of a serious accident. Tests have shown even a single drink after work is enough to put drivers over the new limit of 50mg alcohol per 100ml of blood. Chief Inspector Mark Sutherland said: “If you have had a drink, no matter how much you feel you’re OK, you have changed your ability from when you were in your fully sober stage. “If you’re going to drink tonight, don’t drive in the morning. I’m glad. Wish the laws were tougher here.